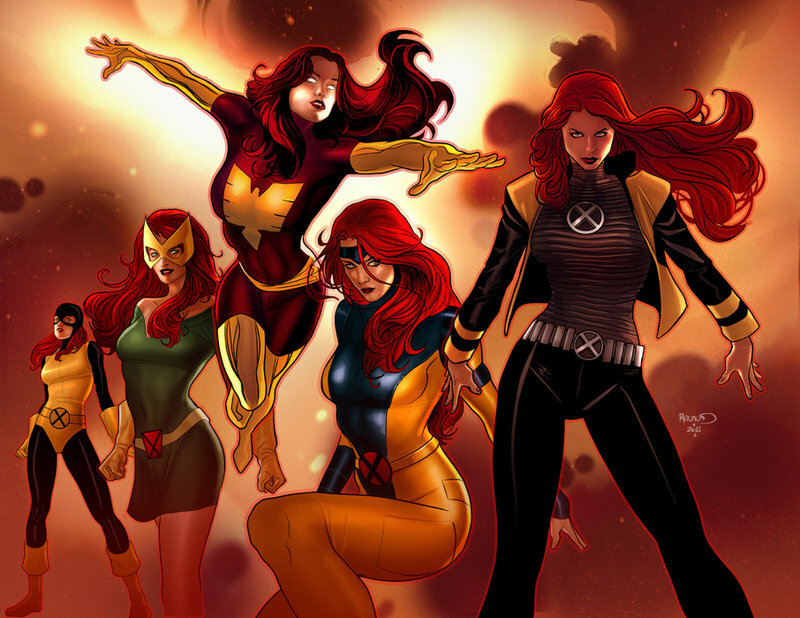 X-Men Fashion Friday: Jean Grey – AiPT! It’s X-Men Fashion Friday and our panel of fashion judges are evaluating Jean Grey’s many costumes. Since their debut in 1963, the X-Men have sworn to protect a world that hates and fears them. But you know what? Here at AiPT!, we’ve got nothing but love for Marvel’s mighty mutants! To celebrate the long-awaited return of Uncanny X-Men, AiPT! Brings you UNCANNY X-MONTH: 30 days of original X-Men content. Hope you survive the experience… If there’s one thing superheroes usually aren’t, it’s ordinary. Their over-the-top flair extends not only to their powers and morals, but to their fashions as well. There are few super teams where this is more the case than the X-Men. Each Friday during Uncanny X-Month, we’ll be discussing the best and worst fashion moments of one of Marvel’s merry mutants. This week we’re turning our style judgments to fire, and life incarnate–that’s right, it’s Phoenix–Marvel Girl–Jean Grey. Which of her looks is the best? Our panel of fashion judges, Manga Editor Eric Cline, Uncanny X-Month Curator Chris Hassan and special guest judge–and Jean Grey cosplayer–Katrina Fox decide. With an overall score of 9/10, Jean’s Phoenix costumes are our favorites. Is it any wonder given how classic they are? She is fire–and life incarnate–and fashionable as all get out in these looks.